This is where I intend to put my Battle Reports And Scenarios from the Operations Room. The Operations Room is a 20 foot by 10 foot shed in my back garden in which I have a 10 foot by 5 foot wargames table. I have numerous projects on the go but unfortunately not enough to hold a war game as of yet. I also have a fair amount of terrain which continues to grow. 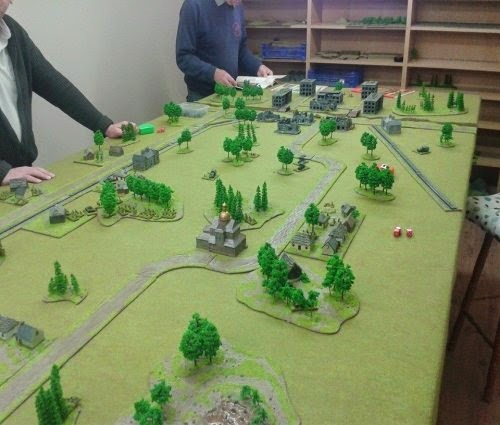 At present I manage to play every Monday night at the Grimsby Wargames Society and occasional weekends. At some time in the future I intend to opening the Operations Room to the Wargaming world for a full day of wargaming, I will supply the figures, rules, terrain, dice, etc. I'll also provide plenty of tea and coffee, all you'll need to bring would be a packed lunch.